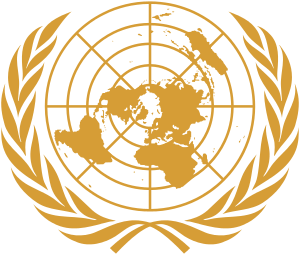 UNOSAT is the United Nations Institute for Training and Research (UNITAR) Operational Satellite Applications Programme, implemented in co-operation with the European Organization for Nuclear Research (CERN). 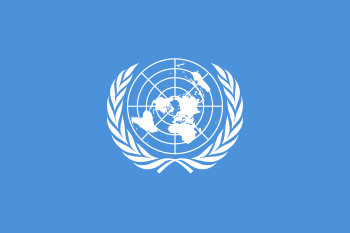 The programme, created in 2000 provides satellite solutions to humanitarian aid and sustainable development organisations and comprises United Nations fieldworkers, satellite imagery experts, geographers, geologists, sustainable development experts, database programmers and internet communication specialists. Their stated mission is "to deliver integrated satellite-based solutions for human security, peace and socio-economic development, in keeping with the mandate given to UNITAR by the UN General Assembly since 1963". 1 2 "Management change at UNOSAT". UNOSAT. Retrieved 2009-04-09. ↑ "Who we are". UNOSAT. 2009. Retrieved 2009-04-07. This article is issued from Wikipedia - version of the 10/11/2014. The text is available under the Creative Commons Attribution/Share Alike but additional terms may apply for the media files.